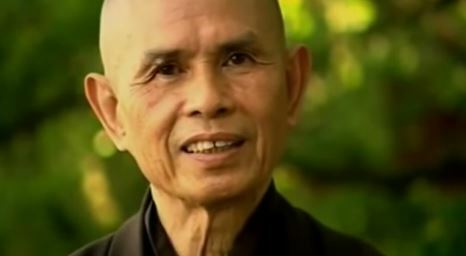 This video was at the end of a blog post 7 Lessons Thich Nhat Hahn Taught Us. For me, he has been a living example of a way of being that serves as a guiding light on my path. When I’m walking through the airport, I’m mindful and I observe my steps. I have yet to manage to allow enough time as he recommends. I will continue to practice. In difficult situations I breathe. I found myself contracting this morning against the news of his brain hemorrhage and I had to remind myself to breathe. But despite the breathing, I still felt that I had to do something even when there is nothing to do. I continue to breathe as I write this. I know that there is nothing to contract against. I know that the light on my path is still there regardless of form. I know these things and yet I find that my breathing is not enough. I am restless. So I’m going to walk. And I’m going to continue to breathe. Breathing in I feel gratitude, breathing out I know that all is exactly as it should be. A haiku posted here by permission of the author jo. A poem written for a mother who lost her 14 month old child. I am posting here by permission, with gratitude to jo for sharing. Every day people die yet, unless it is someone close to us, we try not to think about it. If it is someone close, we tend to be very sad and often, we find ourselves in a state of turmoil and unable to cope with daily life. We act this way, for the most part, because we are afraid of death. We fear dying and leaving this world without knowing what lies beyond. Yet, it is only by facing our fears that we can truly live a fulfilled life. Some cultures, past and present, have understood this well. While some people may think that the Ancient Egyptians were obsessed with death by preparing for the afterlife with all their rituals, mummification process and tombs, nothing could be further from the truth. It is because of their firm belief in the afterlife and understanding what they needed to do to get there that they were able to embrace death and, by doing so, not fear it and live mostly happy and fulfilled lives. They celebrated the rising of the sun daily, they had many holiday festivals celebrating life. They worked and lived with purpose and accepted death as part of life. If we accept this life as a journey to the next life then death becomes merely a transition to the next part of that journey. By embracing this transition we can overcome our fear and truly embrace this life. The Egyptian civilization dominated the Ancient World for almost 3,000 years and has no comparison to any civilizations that came before or after it in terms of longevity. We are still learning today just how this civilization was so sophisticated and advanced in areas from science and medicine to social and legal systems. The Ancient Egyptians worshipped many Gods and associated each of these Gods with different aspects of their lives and the world around them. 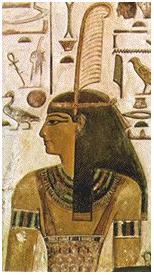 One that really stands out for me is the Goddess Ma’at (pronounced Mayet or Mayat) who represented order, truth and justice. The Pharaoh’s of the New Kingdom in particular were very expressive in their statues and tombs about ruling and living under the principles of Ma’at. They believed that if they did not, the world would return to chaos – its state before it came into existence. In order to maintain those principles of Ma’at, the Egyptians lived under a social and legal system that surpassed the Greeks, Romans and most other civilizations that came afterwards. Women had rights and could own property and divorce their husbands for just cause. Peasants and Nobles were regarded as equals under the law and all were entitled to a hearing to settle disputes. The principles of Ma’at were the cornerstone of Ancient Egyptian civilization and one of the reasons that it survived and flourished for so long. Today, it seems our current governments and leaders struggle to maintain order, truth and justice. Their principles appear to be associated more with wealth and power and, as a result, we are slipping towards chaos. In many parts of the world today, women have less rights than the Ancient Egyptians and there are few places where the poor and the rich are regarded as equals under the law. The Goddess Ma’at is usually depicted with an ostrich feather in her hair. The Ancient Egyptians believed it was this feather of truth that a person’s heart was weighed against in the hall of judgment when they died. If the heart of the deceased was as light as the feather and not burdened with sin and evil their soul would pass into the afterlife but if the heart was heavier, their soul would be devoured. It is interesting how you often hear people talking about having a heavy heart and we take that to mean they are sad or troubled while at the same time we associate light heartedness with happiness. I wonder if Ma’at still exists in all of us?